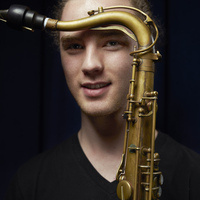 For his first and only senior recital, saxophonist Peyton Pleninger will present his band, Biotonic, featuring Alex Levine (guitar), Dan Pappalardo (bass), and Adriel Vincent Brown (drums). In 2015, driven by the rhythmic and esoteric musical languages built by Steve Coleman and Milford Graves, Pleninger formed the first iteration of his band Biotonic. In its infancy, Biotonic explored the relationship of sound on the human experience and physiology through original compositions, and later evolved to explore “moment music” by juggling spontaneous and predetermined material. Biotonic has performed throughout NYC at such venues as The 55 Bar, The Jazz Gallery and Seeds Brooklyn, and has released 2 EP’s: “intro::extro” and “Heartbeat Music”.